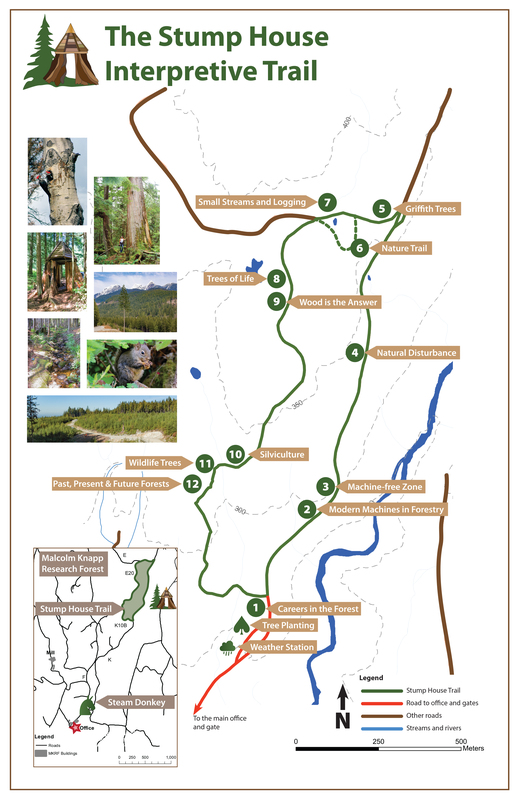 Click below to view and print our trail maps. Copies can also be picked up at the research forest office during office hours (M-F 8am-4pm). South MKRF Trail Map – Four colour-coded loop trails – Red, Yellow, Green and Blue – begin and end near the research forest gate. Each trail varies in length and difficulty. 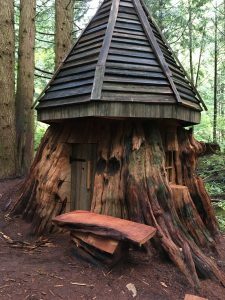 The Stump House Interpretive Trail – A self-guided forest education tour, this moderate hike takes you around a 3.6km loop. This trail features thirteen educational stops with detailed sign boards. Take a short side excursion along the Nature Trail and explore our magical Stump Houses. To access this trail, it is a 2.3km hike from the main gate (total return trip 8.2km).